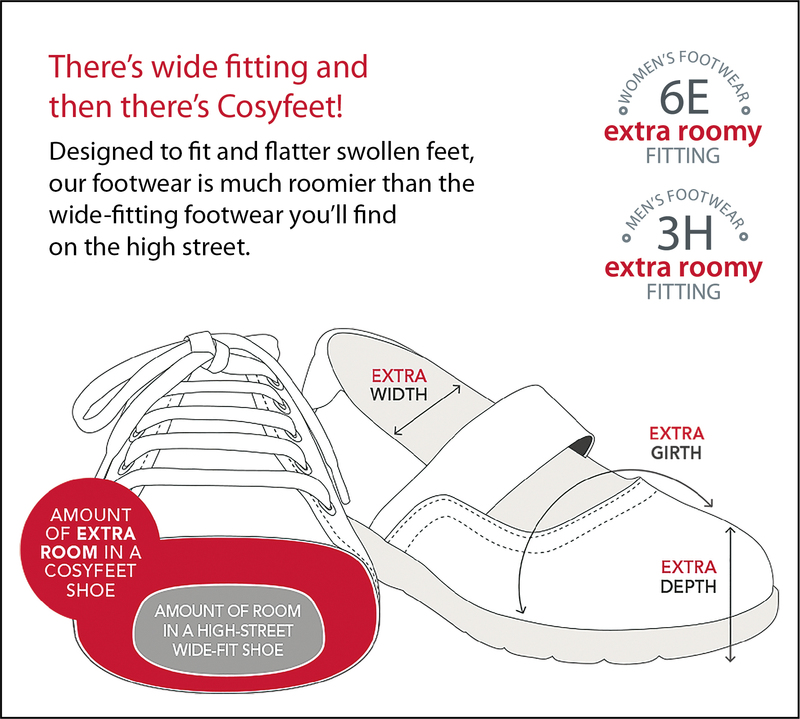 We believe that swollen feet should have the most comfortable, stylish footwear possible. That’s why we combine the latest trends with premium materials and expert shoe-making. This is the most supportive sandal in the Cosyfeet range. A closed back will provide excellent support for your ankle. A stylish and supportive slipper which is made from 100% pure wool. They also minimise odour and regulates temperature. A comfy casual style shoe with a durable sole and good tread. Perfect for those who lead an active lifestyle. Soft adjustable leather shoes which are made to suit swollen feet in style. The footbed can be removed to give extra depth. This soft slipper has a broad toe shape which is ideal for problem or sensitive toes. The adjustable strap will adjust to fit a range of swelling. The Robbie is extremely comfortable underfoot thanks to the cushioned footbed. Easy to put on, even when your feet are swollen. A roomy slipper which is cushioned underfoot for extra comfort. Just change the touch-fastening to suit your foot and slip on.